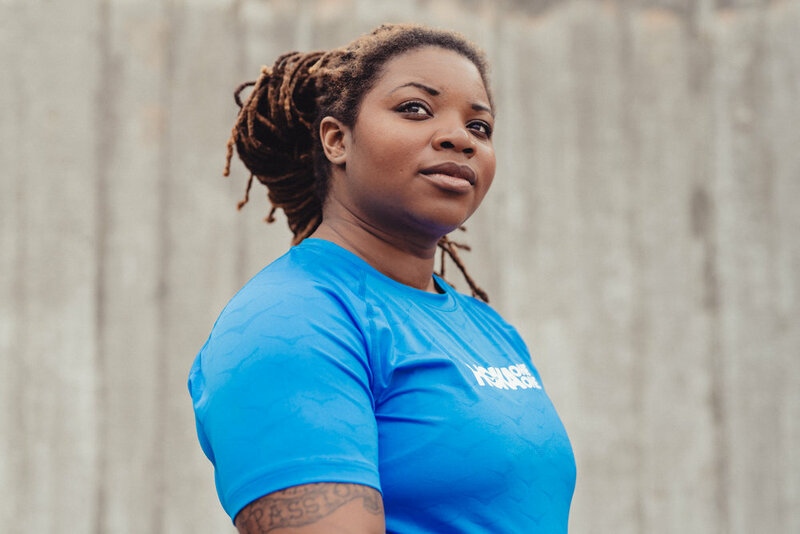 Latoya Shauntay Snell is a road and trail ultra runner, chef, activists, fitness and food blogger, journalist, chef and adventurer. When Camille isn’t writing or spending time with her family, she loves to run absurdly long distances. It's not unusual to find her hitting the trail in her running shoes long before the sun rises or cranking out miles (and stories!) on her treadmill desk. She considers sleep optional and largely overrated. Since I was a young girl, I have loved running in the outdoors. When I was in my 20s, I worked and travelled around the world, and it was through running that I discovered wild spaces and places off the beaten track. Some of my greatest memories of living overseas include running through the beautiful, quiet countrysides of rural China. I also lived in Beijing when the 2004 Summer Olympic Games took place, and watching Usain Bolt run like a cheetah with such incredible power & speed, I knew that I wanted to continue running for the rest of my life. Although I love competing in races, my greatest joy is running along trails on my own. It's a time to reflect, to meditate, and to envision new ideas for my life, my family and my community. While running along the trails in Peterborough, Ontario in 2017, the dream of following the monarch migration from north to south started to reveal itself. Monarch butterflies were with me during this run, as they seemed to dance around me, amplifying my dream of creating an ultra run across North America, a journey that would connect communities along the 4,000km migration route. There is a life force in any story of animal migration, and the one that fascinates me the most is the monarch migration. I have a strong desire to understand the migratory pathway of monarchs through my own ecological consciousness. Since we launched the Monarch Ultra in the fall of 2018, all of my energy & passion have gone into this project as an act of hope that we can protect some of the smallest creatures on Earth. My wildest dreams are coming true, and my greatest hope is that the Monarch Ultra will bring awareness and action to protect monarchs and other pollinators. While pursuing his undergraduate studies, Jacob volunteered to coach the track team at the local high school and helped guide the team to its first state track title. After completing his undergraduate studies, Jacob returned to his Alma Mater in rural Oregon to teach and coach cross country and track. Each year, more and more Hermiston athletes found their way upon the podium at the Oregon State Track & Cross Country Championships, culminating with the school’s first individual state champions in the 800m, 1500m, and 3,000m and the first state cross country team title. Before Jacob left his post as head coach at Hermiston High School, every school record from 800m to 5,000m for girls and boys had been broken. My name is Verna Volker. I’m a full-blood Navajo originally from New Mexico but reside in Minnesota. Last year I became an avid trail runner and an ultra marathoner. I started NWR out of frustration. I saw the lack of representation and inclusion of native women runners on social media, running magazines, podcasts apparel and so on. The running world tends to highlight the dominant society so I wanted to show case amazing indigenous runners with the tool of Instagram. My motivation is that my daughter will someday look in a running magazine and find someone that looks like her. I’m proud of how far NWR has come. It’s also a place of support for all women to encourage each other on our running journey. Hilary Spires is 32 from Vancouver, British Columbia. She is the owner of Rugged Conditioning and host of the Trail Women Running Podcast. Before she became a trail runner she was hockey player who played in the NCAA and NWHL, she also MMA fighting. Amy Puzey is the national race director for 5Peaks Trail Running and oversees over 30 trail races across Canada. She is the mother of six children, past winner of the Canadian mountain running championships and TransRockies 3day run, has run multiple marathons and ultras. She and her husband, Jacob, live with their kids in Canmore, Alberta. Meghan M Hicks is the managing editor for irunfar.com. She was a runner through high school, college, and beyond, and discovered trail running in 2004. She competed in my first trail race in 2005 and my first ultramarathon in 2006. 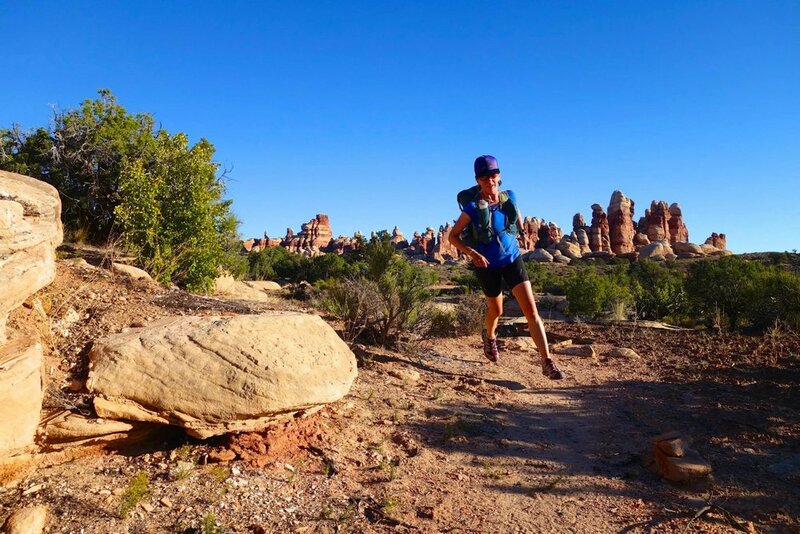 She additionally came to trail running with years of experience in traveling, hiking, backpacking, and mountaineering, so the adventure aspect of trail running speaks to me more than any other of its parts. In addition to her work with iRunFar.com, Meghan is the co-author with Bryon Powell of Where the Road Ends: A Guide to Trail Running, which was published as a trail running how-to in 2016. Meghan is also a contributing editor for Trail Runner magazine and was the trail running columnist for the iconic Marathon & Beyond before it shuttered its publishing doors. ESPN The Magazine, Competitor Magazine, Runner’s World, Trail Runner, UltraRunning, a number of regional newspapers, and many other outlets have called on her experience with the sport for their stories. Camille Herron is from Oaklahoma. She works as a research assistant, public speaker, coach and professional runner. Camille holds world records at the 12 and 24 hours races, 50 mile and 100 mile distances. 3 x qualifier for the Olympic Marathon Trials. In 2001, a friend introduced Jocyelyn to the running community. Having a new baby at home, she loved the opportunity for both her and her new daughter to get out of the house, get some exercise and meet new people. 17 years later, Jocelyn still enjoys running with her daughter. Jocelyn began running trails several years ago, and she loves the peacefulness and sense of escape trails offered. She has completed many ultra marathons including several at the 100 mile distance. Jocelyn loves sharing her passion for both running and the running community through working the Runner’s Core, and er own coaching and training business “Boundless Pursuits”. "My name’s Thao Ben, from Hanoi, Vietnam. I’m 32, a mother, a teacher, a runner and a dreamer. I started running one and a half year ago and now running has been an indispensable part of my life. When I first came to running, I was immediately hooked. Since then I have kept on running every single day and running has changed my life in a very positive way. It's been a close friend of mine going along with me on the way to discover who I am and to find the best version of myself! I'm a life-long learner and running has been teaching me a ton of invaluable lessons that I really appreciate. One of them is that we’re capable of more than we ever thought possible. If we believe in our dreams and never ever give up, things will turn out for the best". Ashley Druve is an ultra marathoner from Australia. He has stage 4 NET Cancer and has undergone multiple surgeries, and experimental cancer treatments. One radiation treatment left Ashley’s immune system non existent and he spent months in isolation. Through Ashley’s fight with cancer he has continued his love and passion for being outside and running. 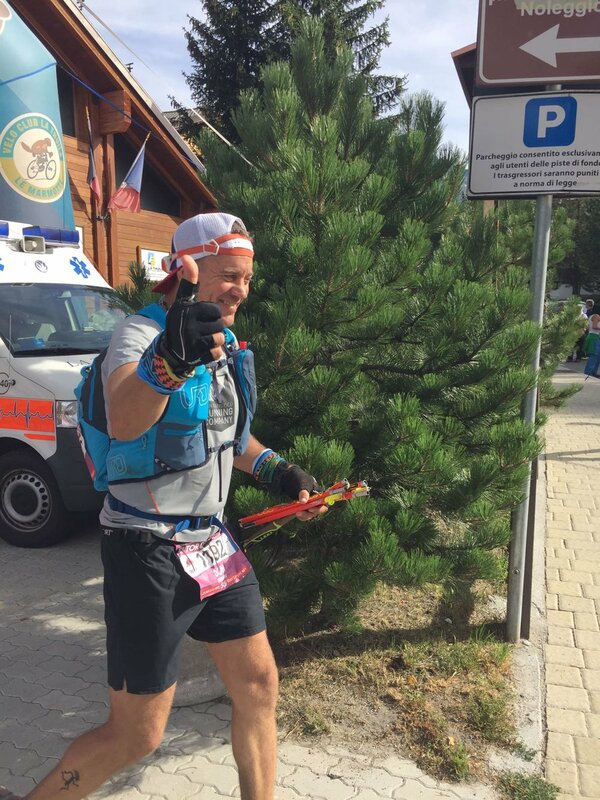 He completed an ultra marathon weeks after surgery. This year Ashley and his family have been travelling around Australia and you can see Ashley’s amazing photos at @runnershabit on Instagram. I couldn’t run 1 mile, I know because I tried to after reading Ultramarathon Man in 2013. By early 2015 I weighed 200 pounds, had extremely high blood pressure and cholesterol levels where the doctor was about to put me on Lipitor. My stress levels were off the charts and then I broke my ankle. Then my dad almost died of a heart attack. It was the catylist to change everything for me. I changed my diet, lost 50 pounds and ran for the first time beyond 1 mile. September 15th, 2015 was sort of the date of my second birth and I try to celebrate this as my running birthday every year with a big race. I’m a sponsored athelte, but promise you I’ll never win a race. 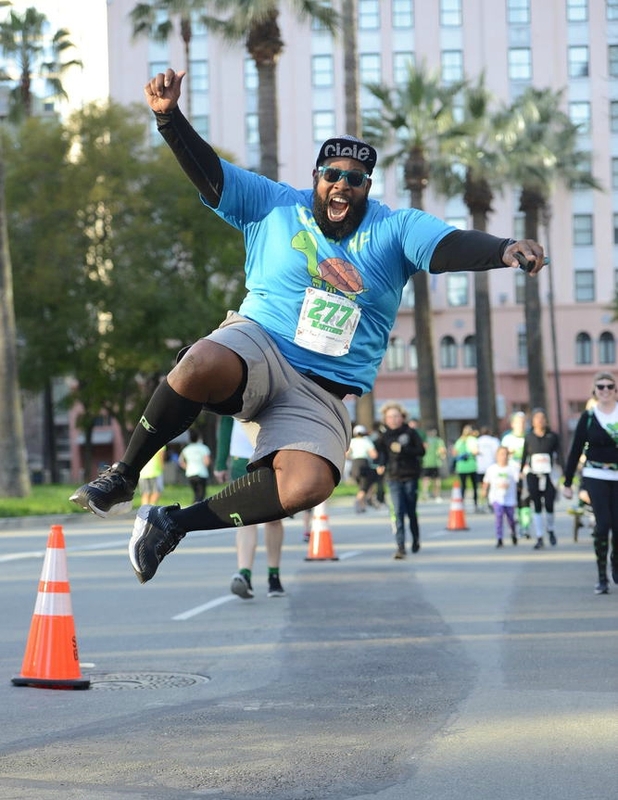 My goal is to inspire people to run. They see me, a fairly normal guy and see themselves in a way. I’m not some super athelte, they see me as a reasonable goal for themselves. I imagin people saying to themselves, “Oh that guy can run an ultra, maybe I could too” - it plants the seed of possible. I’m relatable, I work full time and I’m married with two kids. In all this change, I decided to take a picture during most of my training runs. It turned into Training For Ultra on Instagram and people were inspired by it. I started a podcast and it continued to have a unique way of inspiring people to run. So my final push for now is writing a more detailed account in a book that comes out in March 2019 - Training For Ultra, Ultra Running Stories From the Middle of the Pack. My goal, as it has been all along, it to inspire people to run. Adventure seeking 44yr old strong willed, positive, free spirited Canadian woman with Scottish roots. Aaryn is 100% committed to being present and active as a mother and wife while maintaining a positive relationship with work and training. She began running on a treadmill in Milan, Italy as part of a daily fitness regime in 2003. Shifted to running Ligurian region coastal roads and ancient footpaths in 2006 upon moving to Camogli, IT. Discovered a passion for distance running while living there with her husband, traveling between the towns along the Ligurian coastline, without any real training method. First running event entered was the Maratona di Milano, fully undertrained, but completed in 2007. 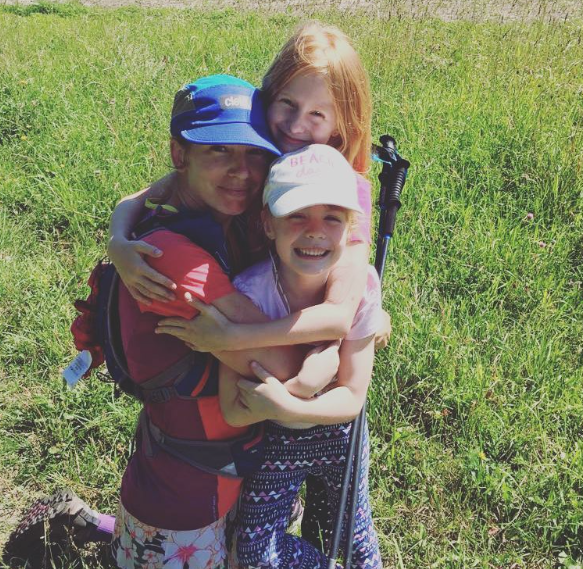 Upon moving to the GTA in 2008, she continued to train &complete every local marathon and 1/2 marathon available, repeating in subsequent years following until becoming bored, when she moved her training onto the local trails and focused on ultra distances a year after giving birth to her child, in 2012. Since then she has completed (and DNF’d) numerous 50’s, 100’s, and more. Most recently attempted Tor Des Geants 330km but was unfortunately pulled out near 200km by medics with bronchitis. The memoir shares her journey of overcoming addiction to becoming an accomplished ultra runner, having run over one hundred 100 mile events in her career. 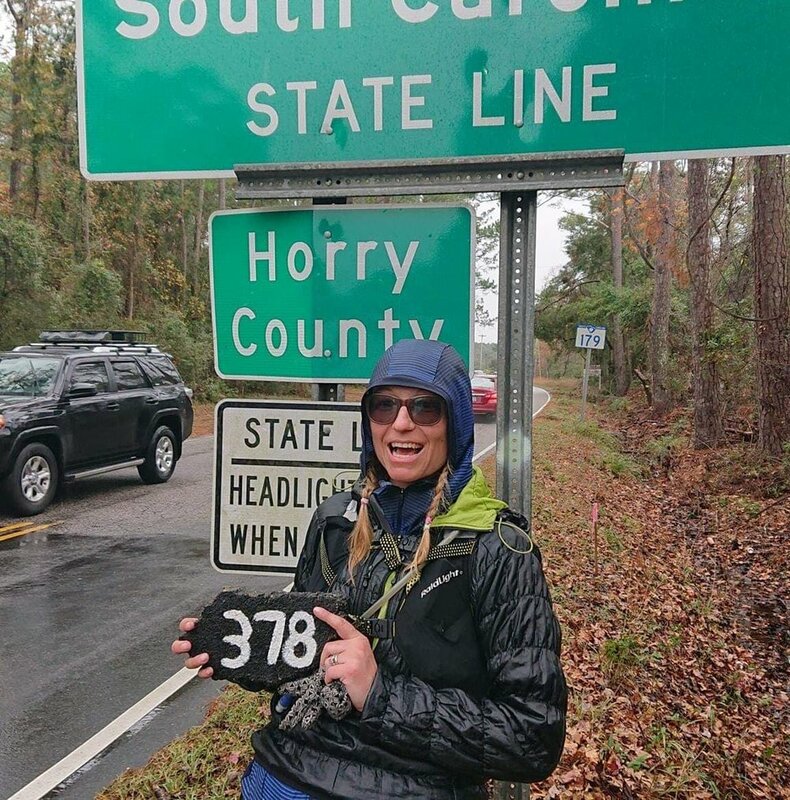 She is the current record holder for an out and back (Yo Yo) on the John your trail 424 miles 12 days four hours 57 minutes, one of only a handful of people who have run 100 miles or more 100 times. Finisher of Marathon des sables 150 mile stage or through the Sahara desert, the grueling Badwater 135 mile race through death valley. Has run through the Ohlone wilderness 100 to 200 miles 13 times. Ran 100 miles through Yosemite national Park two times. Only person to have run 100 miles and rock climbed a nine pitch rock climb at mile 57 finishing 100 miles in 38 hours in Yosemite national Park. 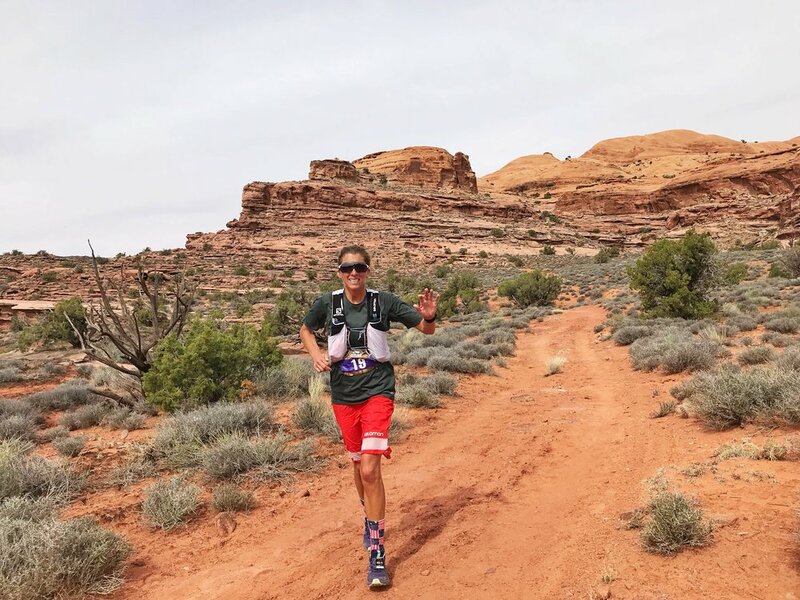 Has finished Big Foot 200, Tahoe 200, and Moab 200 and currently doing the Triple Crown of 200 milers this year. She lives in Bishop, California and can be found running the trails with her beloved TruMan. You can follow her on Instagram dirtdiva333. You can reach out via email at dirtdiva333@gmail.com to purchase a signed copy of her book: Reborn on the Run and it is available online on iTunes and Amazon. Derrick Spafford is a lifelong runner who currently specializes in trail, mountain, ultra and snowshoe running. Highlights of Derrick’s career include the Yukon Arctic Ultra (2nd place finish), Rock and Ice Ultra (2nd), Haliburton Forest 100 (1st and 2nd, with the second fastest time ever run), in addition to many expeditions. He also has a running streak of not missing a day of running since December 25, 1989. Derrick owns Spafford Health and Adventure which offers running coaching, online sales of Dion running snowshoes and other trail running gear, and organizes trail and snowshoe races. Tara Norton is a former professional triathlete, NCCP multi-sport coach at Team Atomica and mom, with a new passion for ultra-distance races. A 21-time Ironman finisher, Tara has competed at the Ironman World Championship in Hawaii six times with a best 12th place overall finish. She broke the Ironman Lanzarote bike course record in 2008 and it stood for 10 years, has an Ironman personal best time of 9:32 and has over 25 top-10 finishes in long course races as a professional triathlete. Tara was 2nd female at the 2016 Ultraman Hawaii World Championships in a time of 27:56:49. 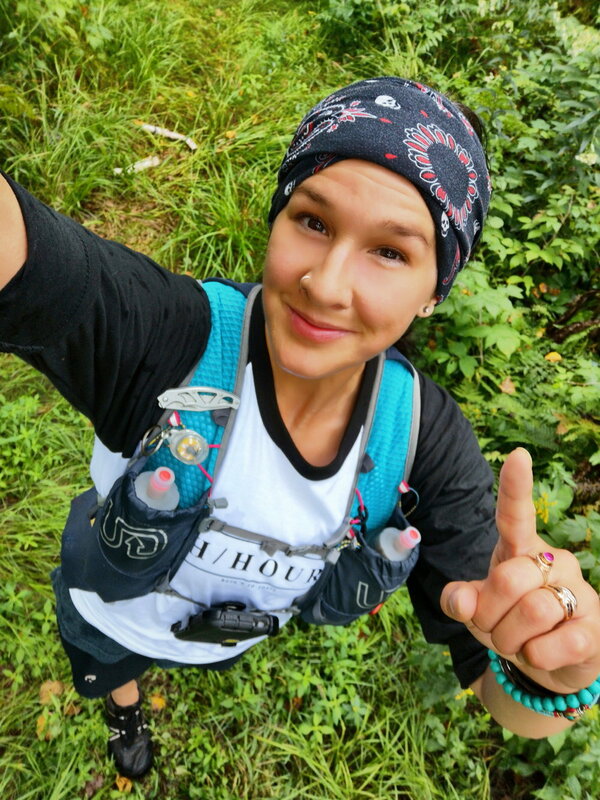 Tara has competed in 50 km and 50-mile trail races as well as the Doxa Threelay 258kms relay as the first female soloist and the 5-day Transelkirks trail run. My name is Debbie Bulten, and I am a multi-sport endurance athlete, a business owner, and a mother of three. My running journey started when I was 25, as a means to stay fit after the birth of my first child. I completed my first marathon in Toronto that year, and it took me an embarrassing long amount of time. But I was hooked on running. I competed in my first triathlon in 2002, which kick started my journey into Ironman triathlon. I competed in 12 Ironman races, during which time I began training for ultramarathons. I found a passion for endurance sports. My first ultra distance race was in 2011 – from there I went on to run the Canadian Death Race, the Georgia Death Race, numerous 100 mile races, and all distances in between. Most recently, I have run two 200-mile races. I have enjoyed a long career that has spanned 2 1/2 decades. I was the first female to complete a 200 mile trail ultra in Canada, and I’m currently on a bid to climb the Seven Summits, the highest mountain peak on each continent around the world. I decided to climb the Seven Summits because I thrive on challenges that engage both mind and body, and I strive to push the limits of my own potential in my endeavours. Through endurance sport, I try to show myself and others that we are capable of more than we think, and the potential of our bodies and minds can be realized when we put ourselves out there. I am 43 years old. Age has never stopped me from taking on challenges. The harder the better; must be the fighter in me as you will learn. I started boxing at 27 years old. An opportunity was suggested to try boxing. I trained hard everyday, even trained 2 to 3 times a day. Over time, I became a 2007 and 2008 Canadian National Boxing Champion. I was on the Canadian Women's National Boxing team for 2 years. In 2008, I represented Canada at the Women's World Boxing Championship in Nigbo City, China. I was consider the oldest boxer at the World's. Old? Who had said 34 was old? I didn't! I won a bronze medal and was ranked top 3rd boxer in the world. It was one of my most memorable experience: standing on the podium, looking proudly at the Canadian flag, I had no thoughts, it was all heart. Time had stopped, this was, a true sense, of being in the moment. And also, not everyone can say this, I had the opportunity to spare Justin Trudeau! Amazing what can happen when you take an opportunity and make it yours! In 2010, I started running Ultramarathons. My first race was the Canadian Death Race. I decided to take on this race as a relay team. I ran 60+km at the race, I loved it so much, I knew this was my calling. I did not know much about ultramarathons, so, I reseached, planned, trained and learned many lessons. Over the years, I have learned from each finish and DNF. All were positive. It made me a strong runner. I am not the fastest nor I am an elite. I am my own potential and if I place first in a race, I consider it a bonus! Of course, planning, training and determination helps, for example, I was involved in a car crash in February 2016. Out of three 100 mile races I finish 2 and I placed first woman at the Halliburton 100miler in 2016. I have ran multiple races starting at 50km to 200miles and I have done 3 self supported stage races - Fire and Ice 250km in Iceland, Grand2Grand 273 - Arizona/Uhta and Annapurna 200km in Nepal. I will be running the Tahoe 200mile race on Sept 7, 2018. My interest in Ultra Running started in 2009 while working in London, England as a Sports Massage Therapist. There, I treated all sorts of athletes, but my Ultra Runners were my favourite. Instead of talking about results, split times and nutritional science, we talked about “the journey”, “the lessons”, and alllll the FUN things they got to eat! I was intrigued, and so 7 years later I decide to give it a go for myself (essentially, I wanted whatever juice they were drinking), and my Ultra experience didn’t disappoint! I met some of the most fascinating people, had some of the best conversations, and rediscovered a strength in myself that I had forgotten. A strength that propelled me even off the trails to follow my dreams, quit my day job, and start my own business as a life coach. I am forever grateful for the people I met and experiences I had, and all I know is: running trails is magic!! 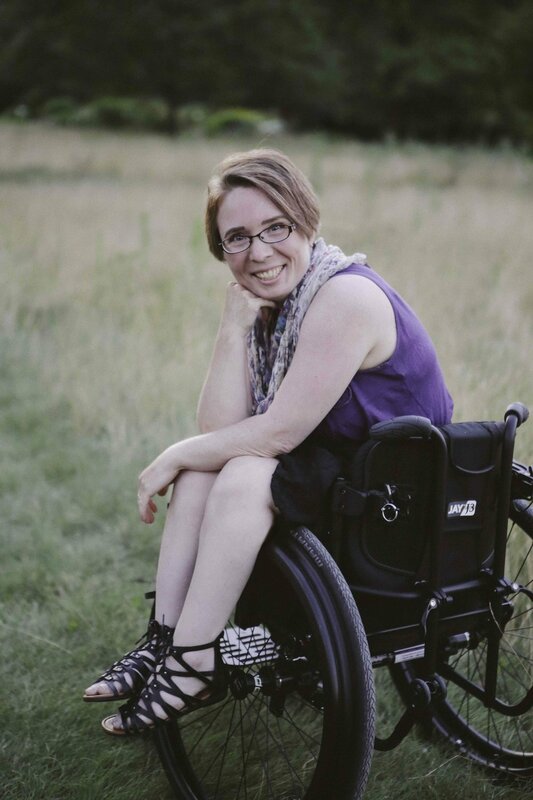 Heather Morgan has lived life fully immersed in the realities of disability in herself and her family, but has never really let that stop her. Among other things she uses a specially designed racing wheelchair and the assistance of able-bodied runners (especially her husband) to compete in 5K, 10K and half marathon distances. Her first triathlon will be in August. Heather is a life coach specializing in issues relating to partnered relationships and parenting especially when those intersect with mental health, disability, trauma, gender and sexuality. Her goal is always honesty, connection and transformation - helping people discover and live into the people they were made to be. Rhonda-Marie Parke is a legally blind disability sports advocate. Ten years of adventuring in running, long swimming, tandem biking and generating general havoc to the typical accepted norms of ‘sport’ have provided her with opportunities to change thinking and alter perception of ‘can’s’ and ‘can’ts’ in the world. From running the Bruce Trail end to end, to taking on the challenge of the Barkley Marathons, Rhonda-Marie has attempted to find the most difficult aspects of inaccessible sport and turn them on their heads. She also makes an awesome batch of Tada muffins, which incidentally are amazing race fuel. Andrea Löw 44, holds a PhD in history and works at a research institute in Munich (Germany). Running is her passion and during the last years, she finished many ultraraces, some multi-stages-races included. 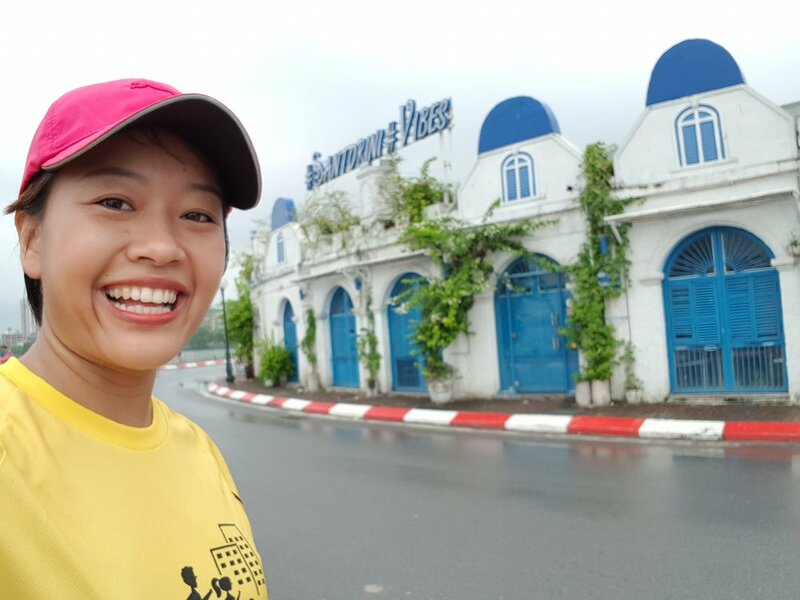 She finished the Sahara Race in Namibia 2017, the ULtra Africa Race in Mozambique 2017 and the Ultra Asia Race in Vietnam 2018. Very soon she will be running the Gobi March in Mongolia. She writes about her running adventures in her blog www.runninghappy.deand is also writing a book about it, which will be published next spring (in German). You´ll find her on Instagram and Twitter: @alrunninghappy. Meet Chantal Warriner. Chantal lives in Barrie, ON. She has been a competitive athlete for two decades, now specializing in ultra trail running. She loves to run and her dedication and passion for ultra running is demonstrated through her career highlights which include 2x 100 Mile Finishes, 2017 Women's Bruce Trail FKT record, OCAA Hall of Famer, 2016 Women’s Relay Bruce Trail FKT record, and 2nd Place Oilcreek 100k finisher, to name a few. When not running, Chantal Warriner is a mother of 2 young girls, a Paramedic Logistic Supervisor and a University student. Chantal has a passion for the outdoors and is always game for a difficult challenge. Clay Williams is a 58 year old Manitoba born father of two living in Elmira Ontario with his wife of 37 years. He manages the Engineering Department of a manufacturing company in Kitchener and has worked in Northern Ontario, Germany and South Carolina. Clay’s extensive running career started by running with a friend in 2003 to “get in shape”, and progressed to running the Canal Pursuit for Mental Health, a 785 km run along two of Canada’s longest canals. Clay lost his two oldest brothers to suicide, and his wife, oldest sister and daughter all struggle with mood disorders. He has recently found his voice as an advocate for mental health awareness and education, speaking to groups and encouraging conversation about mental health. I am a trail and ultrarunner. 50Miles is my favourite distance but I also enjoy the challenges of 100Miles. I have been running for 24 years, mostly road races and switched to trail running in 2010. When I am not running, I enjoy reading, yoga, trying new beers, and cooking & baking. I am a grade 8 teacher/ coach of the cross-country and track teams at my school. Laurie loves running. She discovered this love in her 30’s and has not stopped running since then. She has run all over the world, and in the process completed 19 marathons and numerous shorter distances races. Five years ago, Laurie became interested in triathlon. Last year she completed her first half-iron distance, a 70.3 race at the age of 57. And age doesn’t slow her down. She continues to explore what else is possible, training and making plans for new challenges. Her most recent fascination is with long distance trail running. Laurie has learned that taking on significant athletic and physical pursuits helps her be her best and discover more of herself in all aspects of her life. She founded The More-In-Me Movement, an initiative to get people, and especially women, moving as a way to discover what else is possible - to find their ‘more-in-me’. “We all have more in us. We have untapped internal resources that we may not even know exit. When we take on big goal or dream or athletic pursuit that moves us out of our comfort zone, we discover that we do in fact have the wherewithal to accomplish what may seem inconceivable.” Laurie combines her 25+ years of experience in leadership, coaching and mentoring along with her 25+ years as a distance runner, triathlete and yogi to inspire women to find their ‘more-in-me’. www.moreinmemovement.com.